We like modern approaches to traditional wedding elements. 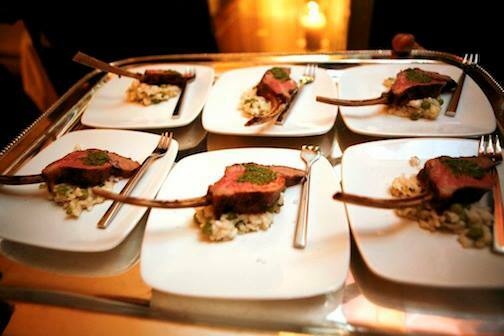 A stodgy carving station is transformed into a fun and whimsical mini plate of lollipop lamb chops, lemon and sweet pea risotto with asparagus pesto served at The Harold Pratt House and Peterson Hall. Thank you to Belathee Photography for the beautiful food shots!